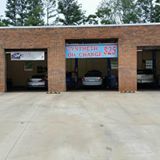 1DM Automotive has been the top choice for automotive services in Suwanee, GA, since we opened our doors back in 2012. Arturo Benhumea decided to open up 1DM Automotive to pursue his childhood dream to have a mechanic shop in a brick building, a dream that he has had since he was in just 7th grade. 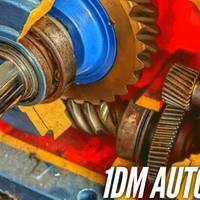 He opened up 1DM Automotive with the goal of providing the best value of services in relation to time and money and doing auto service and repair with pride and integrity. Arturo has over 6 years in the automotive business and has 10 years of experience as a technician under his belt. He is also a part of the Hispanic Young Professionals and Entrepreneurs, the Hispanic Chamber of Commerce, and is a Gwinnett Tech Automotive program graduate. Our owner is focused on making our community a better place by taking place in both community outreach events and giving charitable donations to help those in need. 1DM Automotive is a one-stop solution for all automotive repairs and services, including transmission repair, check engine light, emissions, and light collision repair. We do it all! Whether your vehicle needs a major repair or a routine service, our Suwanee auto repair shop has the trained mechanics and the latest technology to handle your vehicle with care. We take pride in offering the highest quality of repairs paired with friendly customer service for our community. "Whatever the car they can make it happen. New cars or vintage cars. A young fun yet professional quality experience is always a great thing. They check with you on the prices before doing the work and they do their best to get you a good price! Nice job guys." 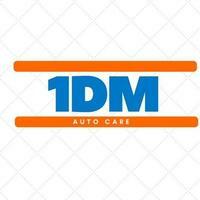 "Experts at 1 DM Auto had my AC system fixed and recharged quickly. They also go the extra mile with great suggestions in maintaining your vehicle. I will come back again and refer my friends." "Awesome service and very knowledgeable mechanic." "I needed some labor, I had my own parts. I called around & these guys were the cheapest & they knew what they were doing.."
"Great car repair services and reasonable prices."